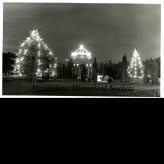 Please join us for the Atascadero Historical Society's Annual Christmas Party to be held at the Atascadero VFW - 9555 Morro Road - between the hours of 5 to 9 PM. This is a potluck so bring your favorite side dish (the main coarse will be provided by the Historical Society). Come enjoy some holiday fun and learn about all the exciting things that have been happening at your Historical Society during 2018.